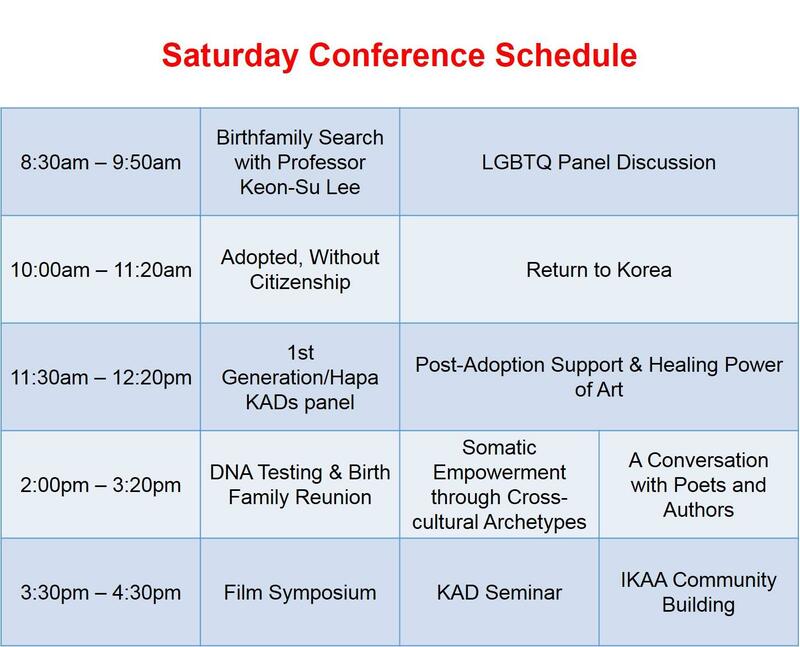 The Association of Korean Adoptees San Francisco (AKA-SF) invites you to our 20th Anniversary Celebration & International Korean Adoptee Associations (IKAA) Annual Convention 2017. 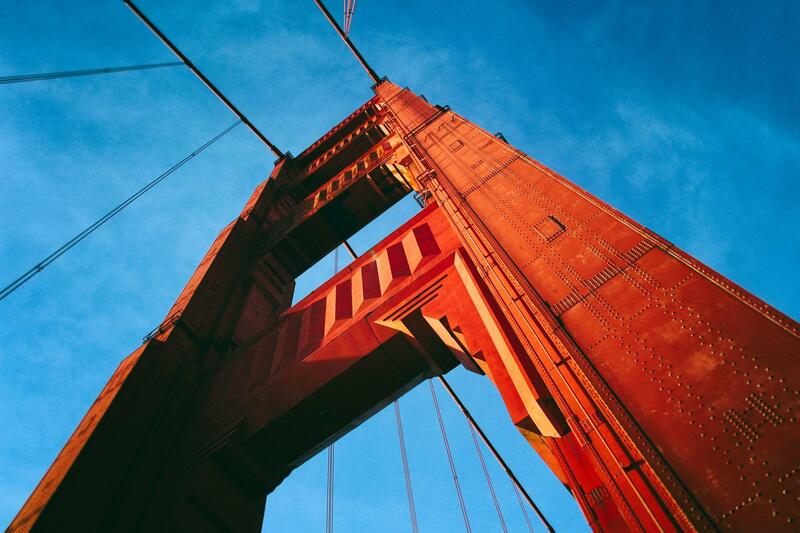 The weekend-long milestone event will be an outstanding opportunity to meet local and international Korean adoptees, engage in unique conference sessions, and explore the beautiful city of San Francisco. • Creating connections among adoptees. • Enhancing awareness of resources and opportunities for adoptees. • Bringing positive impact to the community through adoptee-led organizations and initiatives. We are excited to be collaborating with many organizations, artists, and academics to develop this program. Stay tuned for more details on sessions, speakers, and activities! Registration ends Oct5th. There are no walk-ins for this conference. Email AKASF20@aka-sf.org with any questions and feedback. Walk through the process of searching for birth family in Korea with Professor Keon-Su Lee, who is known as “Sergeant Lee” by many adopted Koreans. A retired Captain of the Korean National Policy Agency, Prof. Lee will share some of his experiences finding more than 5,600 missing family members. Hear the stories, struggles and hopes of adopted Koreans who’ve lived with the consequences of lacking citizenship. They are among 20,000 adopted Koreans whose citizenships were not secured in their countries of adoption. Learn about efforts to pass the Adoptee Citizenship Act for an estimated 35,000 international adoptees without citizenship in the U.S.
A discussion of DNA testing in the Korean adoptee community and its impact on understanding one's biological history and connecting with relatives. Also, an adopted Korean describes being reunited with her birth family for more than 10 years, and her work with unwed mothers who formed KUMFA. A panel of LGBTQ Korean Adoptees discussing the intersection of culture, gender, and sexual orientation and the impact on the future generations of LGBTQ adoptees. Nationally acclaimed and emerging Korean adoptee authors read from their creative writing and discuss their writing processes, challenges, and insights. They will also discuss what markers signify Korean adoptee writing across their various genres, including poetry, fiction, memoir, and cookbook writing. Q&A will follow the readings. This workshop may be powerful for adoptees of color by expanding healing and empowerment by focusing on the body. You do not need any previous experience, training, or special ability to participate. Exploring archetypes may allow adoptees of color to explore the many dimensions of their identity, and to become inspired by the discovery of new embodied and imaginative possibilities. A panel discussion with adoptees who have returned to Korea as they share their experiences. The discussion will focus on how visiting or living in Korea has shaped their sense of Korean identity and affected their ongoing relationship with Korea. During and after the Korean War, children of Korean mothers and American or U.N. soldiers were among the first Korean children to be adopted overseas. Many entered the U.S. when immigration laws blocked entry of Asians, and grew up during the racially segregated 1950s and ‘60s. Now, decades later, they are returning to Korea to confront their histories and search for their birth families. Viewing and Q&A with featured Korean adoptee filmmakers and subjects, about their experiences across the adoptee continuum. A workshop sharing the outcomes of the KAD Seminar, a study series exploring the intersections of adoption practices, Korean history, and U.S. history. Participants of the S.F. Bay Area-based seminar will share how their personal stories have been illuminated and contextualized through readings and discussions with influential scholars, artists, and activists. Two Americans adopted from Korea share the uniqueness of the international adoption experience from a mental health perspective. It is a two-part presentation. Part 1 is a discussion about the distinctness, limitations, and possibilities in post-adoption support services while navigating through the personal journey of being adopted from Korea. Part II is an interactive experience that touches on healing through an expressive art process. IKAA community leaders will share their experiences and advice for building local adoptee communities. This sessions encourages active discussion with the audience members on how to build and strengthen local communities while providing global resources. An informal conversation centering the experiences of KADs who are now parents. Possible themes covered: racial identity development, experiencing birth parenthood, raising multiracial children, navigating retriggered trauma, internalized racial oppression, the challenges of passing on lost history and culture, and deep personal healing and love. KADs who are expecting/considering parenthood, LGBTQ KAD parents, and KADs who are adoptive parents are strongly encouraged to join! Partners (including non-KAD/non-POC) welcome, understanding the workshop will be centered on the KAD parent experience. Childcare will be provided. This will be held at Golden Gate Park (same location as picnic), but prior to the start of the picnic. There will be simultaneous programming of 2 or 3 sessions per time slot. Walk through the process of searching for birth family in Korea with Professor Keon-Su Lee, who is known as “Sergeant Lee” by many adopted Koreans. A retired lieutenant of the Korean National Policy Agency, Prof. Lee will share some of his experiences finding more than 3,700 missing family members. Hear the stories, struggles and hopes of international adoptees who’ve lived with the consequences of lacking citizenship. At least 20,000 adopted Koreans' citizenships were not secured in their countries of adoption. Learn about efforts to pass the Adoptee Citizenship Act for an estimated 35,000 international adoptees without citizenship in the U.S. Speakers: Joy Alessi, Kris Larsen, Donald Bearden, Justin Ki Hong, and Becky Belcore (moderator) of Adoptee Rights Campaign. A session on DNA testing in the Korean adoptee community and its impact on understanding one's biological history and connecting with relatives. Also, adopted Koreans who met their birth families will share their experiences and perspectives. A planel of LGBTQ Korean adoptees discussing their intersection of culture, gender, and sexual orientation and the impact on the future generation of LBGTQ adoptees. Nationally acclaimed and emerging Korean adoptee authors read from their creative writing and discuss their writing processes, challenges, and insights. They will also discuss what markers signify Korean adoptee writing across their various genres, including poetry, fiction, memoir, and cookbook writing. A book signing and Q&A will follow the readings. During and after the Korean War, children of Korean mothers and American or U.N. soldiers were among the first Korean children to be adopted overseas. They entered the U.S. when immigration laws blocked entry of Asians and grew up during the racially segregated 1950s and '60s. Now, decades later, they are returning to Korea to confront their histories and search for their birth families. Viewing and Q&A with featured Korean adoptee filmmakers and subjects about their experiences across the adoptee continuum. IIKAA organizations from the U.S. and Europe will share ideas to strengthen and support local adoptee community organizations. The presentation explores the importance of having Korean adoption competent professionals in the post-adoption and mental health fields, in order to effectively and respectfully meet the diverse needs of adult Korean adoptees through the understanding of the Korean adoptee experience and the issues related to the complex transcultural, transracial, and adoptee identities of each individual. Thank you to everyone who submitted proposals! We will be in contact with you soon. Due to the high volume of submissions, proposal submission is now closed. If you are interested in speaking, presenting, or facilitating one of the sessions mentioned above, please contact AKASF20@aka-sf.org. Conference presenters receive early registration pricing throughout the entire registration period. Please contact AKASF20@aka-sf.org to request a discount code prior to registration. On Sunday, we will host a family-friendly picnic in beautiful Golden Gate Park with Connect-A-Kid; School for Korean Adoptees & Families; Korean Center, Inc.; and #akasf20 participants. Join us for lawn activities and games! Food and drinks provided (including vegetarian options). Tickets are purchased using a credit card payment. Prices are in USD and are exclusive of fees (5% +$1). General Ticket includes access to all events, while Dinner Ticket is only for the Gala dinner. 100% refund through Aug 1st, 2017. 50% refund through Sept 4th, 2017. Refunds will not be accepted after Sept 4th, 2017. Refunds may take up to 60 days to process. AKA-SF is a 501(c)(3) nonprofit organization with an all-volunteer board. If you wish to make a donation to support this conference, please follow the link below to our conference donation page. We are truly grateful for your generosity and support! The Association of Korean Adoptees San Francisco (AKA-SF) is a 501(c)(3) nonprofit organization in the S.F. Bay Area serving the greater adoptee community and their families. Our mission is to educate and foster community among San Francisco Bay Area Korean adoptees, their friends and families through cultural and enrichment events, social gatherings, and collaboration with local Korean American groups. The mission of the International Korean Adoptee Assocations (IKAA) Network is to enrich the global adoption community, promote the sharing of information and resources between adult adoptee associations, strengthen cross-cultural relations, and innovate post-adoption services for the broader international adoptee community. The IKAA Network reaches out to 15,000+ members of the international adoption community through our member organizations from Europe (Sweden, Denmark, Netherlands, France, Italy, Belgium) and the U.S. (California; New York; Washington; Minnesota; Washington, DC; Hawaii; Illinois). Get more info about registration, potential childcare, directions, transportation, accommodations, local attractions, etc.